Shoes are the icing of every outfit. Whether elegant, trendy or casual, every style and look requires the right shoe, and it’s not just the colour. 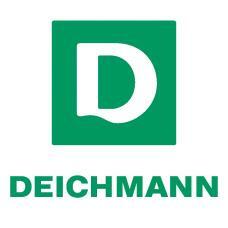 Deichmann offers a large selection of models and brands for women, men and children, as well as for sport. Our fashion scouts are always on the trail of tomorrow’s latest the world over. They watch the fashion scene, attend trade shows to look at the future, keep an eye out in the fashion capitals for the latest trends, and discover what’s hip. But we don’t just want to sell great shoes at great prices; we also give our customers great service. We continuously educate our staff in our own training centres and keep tabs on the quality of our service.